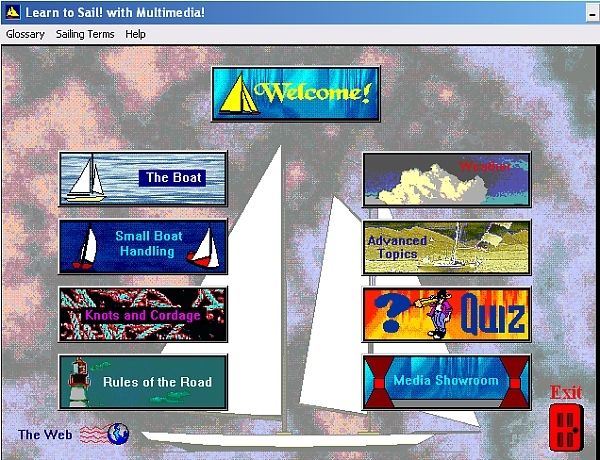 “Learn to Sail with Multimedia! Vol I and II” is an Interactive Sailing Training Software Program on CD DVD for Windows PC. 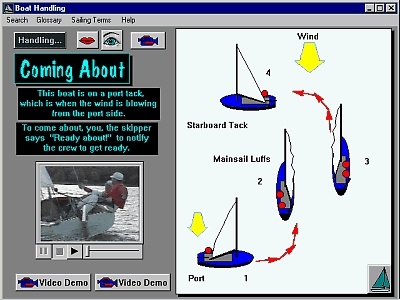 Developed with qualified sailing instructors and weather experts, it is chock full of narration, animations and sailing video clips demonstrating all aspects of sailing, such as wind theory, the points of sail, tacking and jibing, how to predict the weather, tie nautical knots and advanced topics. 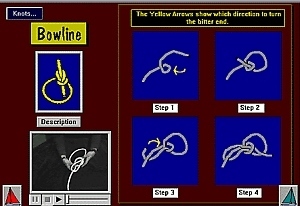 The program includes interactive quizzes, fully utilizing the CD/DVD media. With this self study sailing course, you will be able to confidently sail with an experienced friend or private instructor and exercise your hands-on skills with ease! Depending on the time you take to go through the CD, you can be out sailing in just a few days! 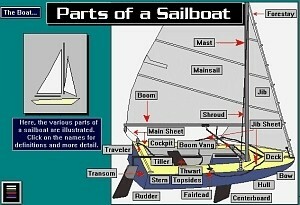 The content was written by qualified instructors with sailing instruction video clips from Sail Magazine. Topics that are covered are Parts of a Boat, Sail Boat Handling, Wind Theory, Coming About, Jibing, Sailing a Triangular Course, Anchoring, Leaving and Approaching Moorings and Docks, Weather, Rules of the Road, Nautical Knot Tying, Advanced Topics and much more! 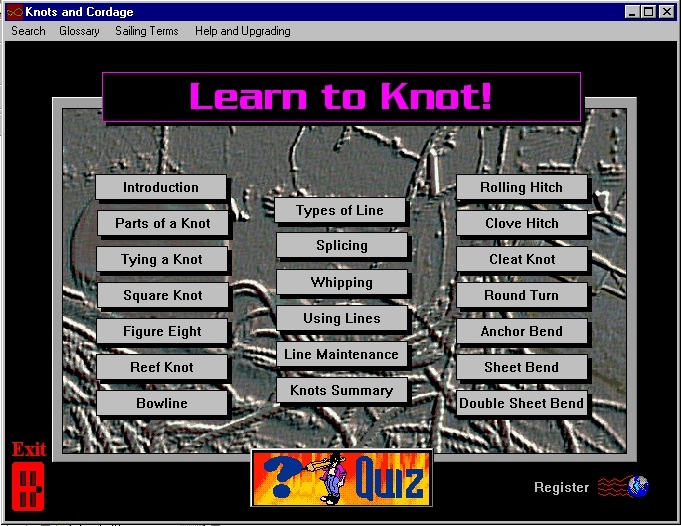 It also has 5 interactive quizzes so you can see how well you are learning! Over 30 hours of instruction! Watch a 10 minute demo of the CD. Includes a mini sailing lesson! Please note: the Piloting Section is sold separately. 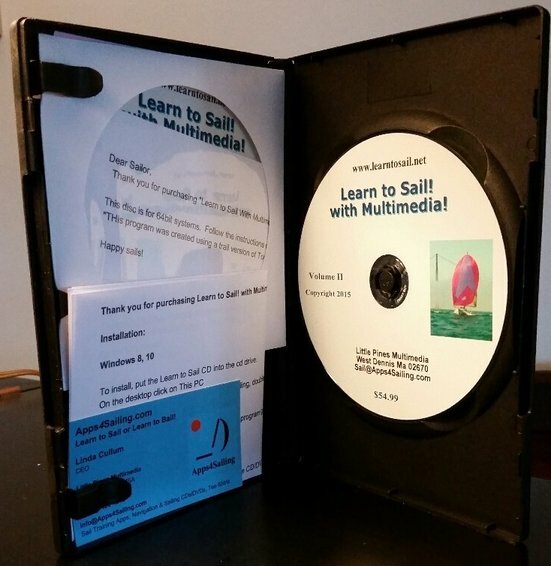 This CD/DVD will help you get the most out of those sailing lessons you have had or have signed up for! 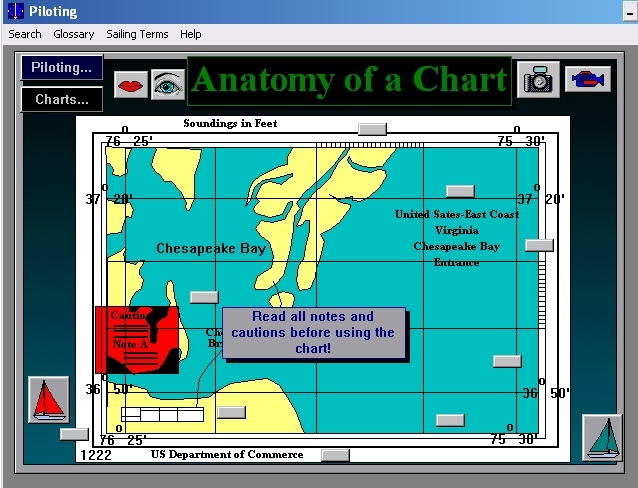 Sailing schools, including the US Navy, have used this software to teach sailing! Written by qualified instructors. We have sold over 35,000 CDs to aspiring sailors! Here is why I created this CD program.